Mother’s Day is one of the most important days of the year for family gatherings, because it celebrates mothers all over the world. What better way than to show your mother how she’s appreciated than by giving her an amazing gift on Mother’s Day? If you’re looking for Mother’s Day gift ideas, look no further because Jumia Egypt has an entire catalog dedicated to Mothers Day presents. You can find special Mothers Day offers on many products sold at Jumia Egypt, which means you can get various gifts for mom at low and affordable prices. The best Mothers Day gifts could vary from fashion, accessories and even household products that mothers can enjoy using. You can find amazing products at Jumia Egypt, such as a waffle maker, coffee beater or granite cookware, for example. Shop online for a good Mother’s Day gift at Jumia Egypt and get fast delivery to your doorstep, which means you’ll have enough time to wrap and plan out how you’re going to surprise your mother! Start shopping today for great gifts for mothers online and enjoy the best prices in the market. Whether you’re looking to buy perfumes, shoes or even a coffee machine, get the best Mothers Day gift ideas when you shop at Jumia Egypt. 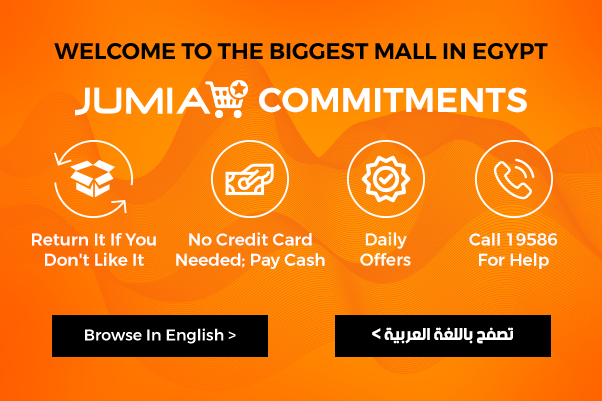 Happy Mothers Day with Jumia Egypt’s endless Mothers Day 2019 offers and deals.